This year it will be held on Bank Holiday Monday 27th August. Teams of 3 will battle it out once again on the sand to be crowned 2018 champions. 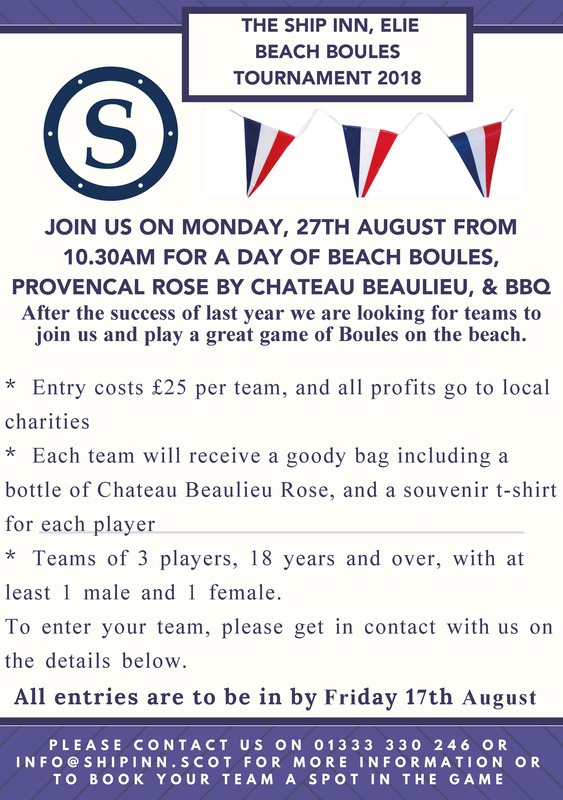 To register interest email us at info@shipinn.scot with your team name and a contact number and teams will be chosen on a first come, first served basis.